The Carinthian Billiard Federation (in German: Kärntner Billard Verband) is starting into a new season with new ideas, new look and a lot of motivation. 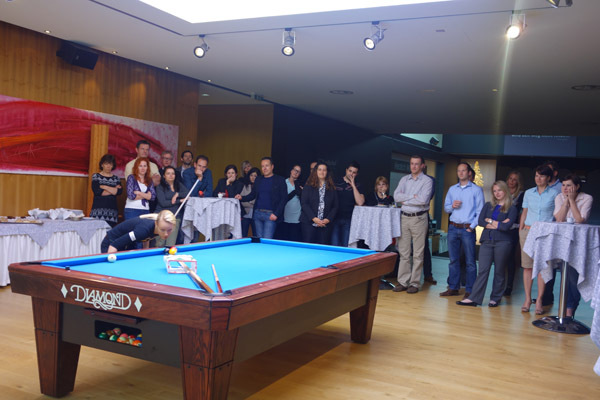 The Federation started the season with an event for the players, sponsors, and special guests in the “Billiard Sport Academy Jasmin Ouschan”! About 70 people came to this event where President Valentin Hobel explained his vision for the new season. Special guests such as tri-athlete Lisa Perterer, ex soccer player Peter Hrstic and Betina Germann from the athletic federation (KLC) came to support our sport. My trainer Michael Neumann and I were there to support our Federation and to be the hosts of this event. A big part of it was also to present the new Team Carinthia in the men and women division for the Austrian Championships this year. Musician and former pool player Boris Uran will be a new adviser of the Carinthian Billiard team. It was a successfull event and really nice to see all the people from the Carinthian Federation again. 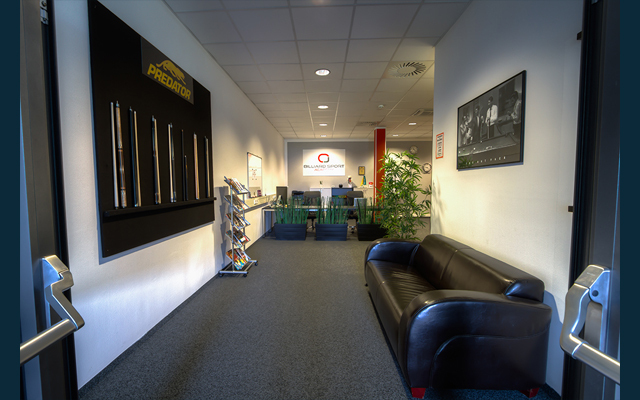 Welcome in the Billiard Sport Academy Jasmin Ouschan, located in the Sportpark Klagenfurt/Austria/Europe. It is right attached to the soccer stadium which was build for the European Soccer Championships in 2008. The Academy is a project initiated by Jasmin Ouschan, professional billiard athlete, and her former coach Michael Neumann. They stopped their cooperation in 2016. The purpose of this project is to finally have the best conditions for top athletes to prepare for international events all around the world. Every continent is using a slightly different equipment and that makes it very difficult for the billiard athletes. So the academy can offer different kind of equipment which makes the training much more effective. The academy also has its own fitness area for all kinds of physicial training. 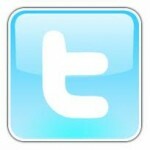 If you want to take a virtual tour through the academy or check out our equipment then follow the links. The “Billiard Sport Academy Jasmin Ouschan” (BSA) is located in the Sportpark Klagenfurt a huge soccer stadium which was build for the European Soccer Championships 2008. It is close to our beautiful lake (Woerthersee) and surrounded by nice hotels. The Sportpark Klagenfurt is the home of many different sports, such as the soccer academy, indoor archery, indoor and outdoor beachvolleyball and a multi-purpose hall for handball/basketball/volleyball and so on. The academy has close to 300 m2 ( 3200 ft2) and is split into 4 rooms, the office, the fitness area, the billiard area and a small kitchen. It is on the first floor but everything is fully handicapped accessible. Springtime is the time for sport fans in Klagenfurt. Families have the chance to try out different kinds of sports with their kids for free and billiard was a part of it. For 2 days our academy was fully booked with billiard enthusiasts. 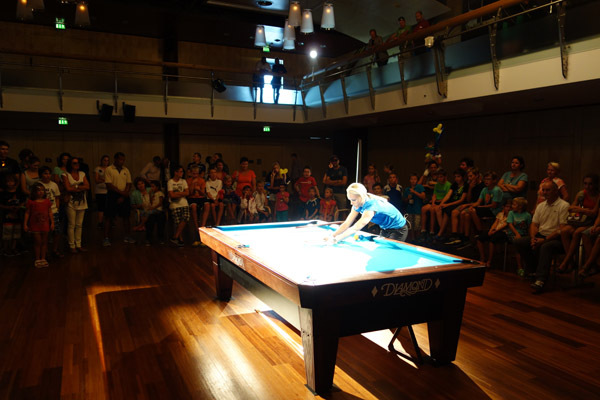 Here you can take a tour through the “Billiard Sport Academy Jasmin Ouschan”. The tour starts in the office and by clicking on the many “Jasmin Ouschan logos”, you can look closer at certain things and go from room to room. Use the mouse (hold the left button and move it) to walk around in the academy. If you are using a smart phone (e.g. iPhone) or some kind of tablet (e.g. 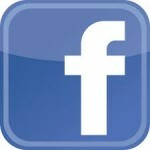 iPad) you can move around by simply moving the advice. 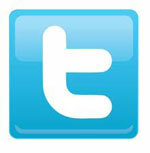 Please make sure that your internet browser is updated with the newest software, otherwise it might not work properly. As the world governing body for pool-billiard sports, I write in full support of the proposed “Billiard Sport Academy Jasmin Ouschan” that is under consideration by Michael Neumann and Jasmin Ouschan. An abundance of poolrooms exist throughout every country of the world, but there are very few specialised Centres of Excellence. Centres like this are essential to maintain the growth and development and improvement for our sport. China is a prime example of why such a facility is necessary. Supported by their government, they have proper training facilities and programs available for those wishing to improve their standard. History of China’s involvement in our sport is not so long, but in this relatively short period their achievement success is second to none. Their male players have proved to be most competitive, twice winning a world teams event, but it is with their women where they have become dominant, holding five places in the top sixteen rankings, including the top two. We most certainly welcome such an opportunity to have a Billiard academy in Europe. I have known both Michael Neumann and Jasmin Ouschan for a number of years, and always admire their dedication and professional attitude, which I am sure, will flow-on into their goal of having such a Academy. With the experience gained from her success as a player, Jasmin, together with her coach Michael, would be an ideal couple to make a great success from having their own training facility. Jasmin has won two world championships, and knows the undeniable importance and benefits for a player to have access to proper training. I believe there would be much interest from many countries wanting to send players to undergo proper training and development where they would be properly accommodated and catered for. Qatar is just one country that has approached me about sending their players to such a facility that has been proposed by Michael and Jasmin, and have tentatively booked places for twelve youngsters for next year. As I understand, their Academy will be able to cater for all players, male and female, from young to old, and very importantly, also include a place for handicapped sports people, making it totally ideal. 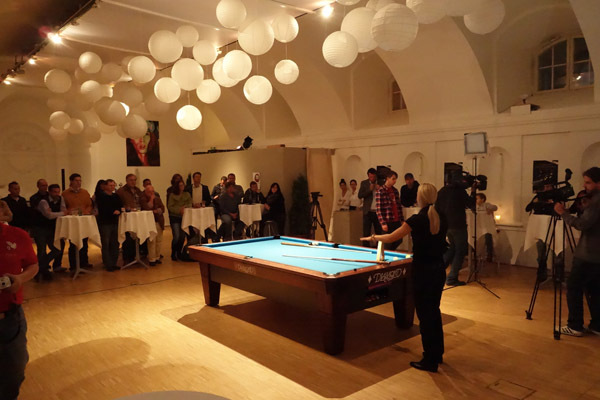 When we heard from this project, that Jasmin Ouschan and Michael Neumann want to open a pool billiard training and competence center in Klagenfurt we were very excited about it. The fact that it is in the sportpark right next to the soccer stadium is impressive and to know that other sports are there too is a big plus. Billiards is not a game anymore that you play in bars, it became a serious sport where the fitness part also got more and more important. 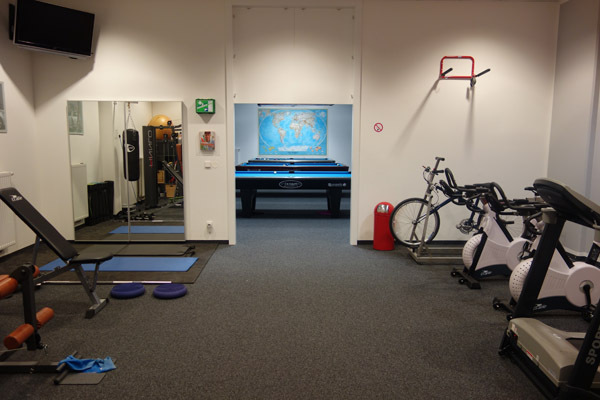 This is not just the first real trainings center in Europe, it also the first one with an own fitness area. With these high standards it is a perfect platform for billiard athletes from all over the globe. It is a great possibility for the kids or other top athletes to book trainings in a high standard training center and to train and prepare for international events. We also believe that Jasmin Ouschan is the perfect representative for our sport and this project. Jasmin Ouschan has always been an athlete of the new generation, someone who looks at this as a whole sport and not just a game. We have to say that this billiard training center would be the right presentation of our sport and not just in Austria but worldwide. These are the right steps into a new generation of billiards and we are proud that Jasmin Ouschan and Mike Neumann are the people behind this project. 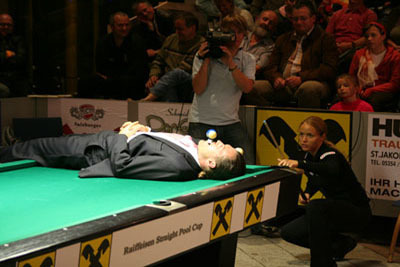 Der Oesterreichische Pool Billard Verband (OEPBV) wurde im Rahmen der Konzeption der Billiard Sport Academy Jasmin Ouschan eingebunden und wie sich nun die Endplanung für den Fachverband praesentiert, wurden die Erwartungen in eine solche Trainingsstaette bei weitem uebertroffen. Nicht nur, dass für unsere Paradesportlerin Jasmin Ouschan erstmalig adequate Trainingsbedingungen für den internationalen Wettbewerb geschaffen werden sollte, freut es uns, dass auch der Fachverband von diesen Moeglichkeiten seinen Nutzen ziehen kann. Insbesondere der Know-how Transfer seitens Jasmin Ouschan zu unseren weiteren Sportlern des Nationalkaders (Fr. Ouschan ist ja bereits als Trainerin für den Jugendnationalkader praesent) sollte hier besser gelingen. Weiters ist es ein Meilenstein in unserer Sportart eine Academy zu haben, in welchem auf konstanter Ebene sportwissenschaftliche Daten erhoben werden, um so für die Weiterentwicklung unserer Sportart zu sorgen. Weiters wird diese Academy auch ein Stuetzpunkt werden für den Pool Billard Behindertensport sein, da die Konzeption und auch die vorhandene Infrastruktur dies zulaesst. Geplant ist ebenso die staatliche Trainerausbildung in ihrem Fachteil in diesem Zentrum abzuhalten. Aus Sicht des Fachverbandes sind wir mehr als erfreut ueber das Engagement von Frau Ouschan für dieses erste Trainingszentrum dieser Art in Oesterreich und werden dies von Verbandsseite groeßtmoeglich unterstuetzen. Jasmin Ouschan was born on the 10th of January 1986 in Klagenfurt/Austria. Even as a small child Jasmin owned a little pool table, but soon playing on this table became too easy and she started her career on the big pool table in her parents club at the age of 6. Right from the start Michael Neumann, who played pool himself, saw her talent. Soon a billiard super team between trainer and athlete was born. In 2016 they stopped their cooperation. After a few years of practice, Jasmin was finally allowed to show her skills on an international level during the youth European championships. Within the next 6 years Ouschan garnered 11 out of 12 possible gold medals. From the start Ouschan had a definite strategy, a strategy that is based in the belief that when you want to become a better player then you have to compete with the best. 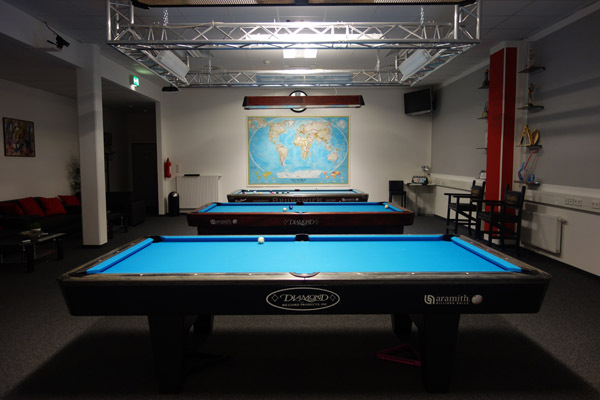 The “Billiard Sport Academy Jasmin Ouschan” is a facility for pool billiard training on a high level. Jasmin Ouschan, professional billiard athlete and EPBF instructer, spends hours in her academy to prepare for international events all around the globe. The different tables, the different types of cloth, the lights, the cameras and so on make this academy so unique. If you want to practice on a table with an Asian cloth, a table that is mostly played on in the USA or simply workout and perfect you game, then the Billiard Sport Academy is the right place for your training session. You are interested in a training session with Jasmin Ouschan in the academy, then please go to the contact information. Pool Billiard is not just a beautiful sport but also entertainment. Jasmin Ouschan can take you on a ride through the world of trick shots and give you a journey into her sport. Surprise your company and/or customers with a show event by one of the worlds best female billiard athlete. A big THANK YOU to all my partners who made it possible to realize my dream of opening the first Billiard Sport Academy here in Austria. If you are interested in training sessions or event packages please feel free to contact us through our email address below or find us on google maps.